Finding food in a survival situation is not your number one priority, but eventually, if your situation lasts long enough, it will become a key to your survival. There are many stories of people in a survival situation (whether they knew it or not) who ended up essentially starving to death, even though they had adequate shelter and water. Each passing minute without food means your body is a little more depleted in terms of nutrients and energy; that means that without food eventually, even the most robust among us will start to deteriorate. When that happens, an exponential starvation curve happens: You are depleted and weaker, which means getting food is harder, which means you become more depleted and weaker. Luckily, if you have access to grasshoppers, you have a meal, even if it is not your first, or 100th option. 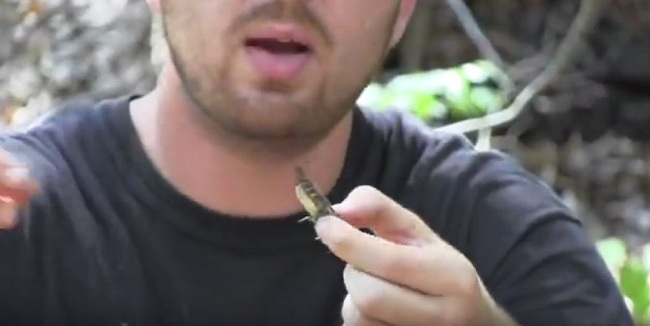 To see how to prepare and cook grasshoppers for survival, check out the video on the next page.